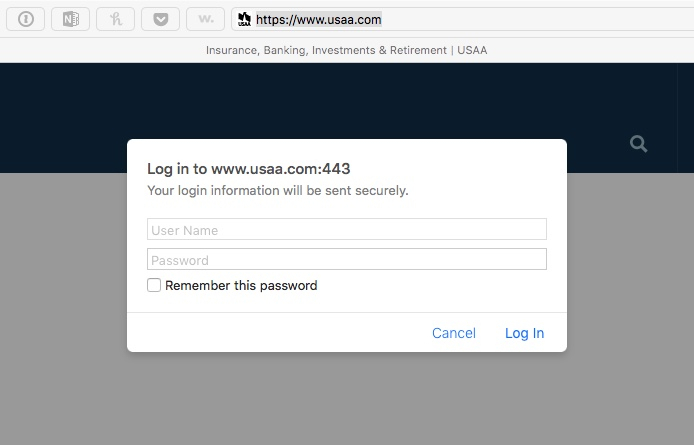 USAA.com : a very different Login window "Your login information will be sent securely." popped up. Is there a version of the 1Password Extension available via Apple's Extension Download that will work with Safari 9 Build 1? I know that it is new ground, so I am just pondering this, not expecting. 1Password for Mac Beta 7.2.3-Beta-3 and 7.2.3-Beta-4 (both released December 3) fixed and mitigated a security issue present from 7.2.3-Beta-0 (released November 2). I am still in the trial mode with 1Password and am having an issue on the IOS version ( iPad running IOS 12 ): 1Password prompts to enter my master password every time I want to autofill a login.